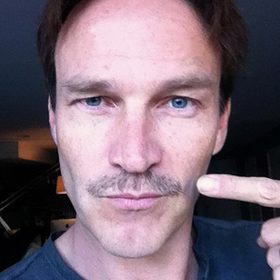 True Blood star Stephen Moyer is taking part in the Movember challenge by growing a mustache. From the official Movember US website: "During November each year, Movember is responsible for the sprouting of moustaches on thousands of men’s faces, in the US and around the world. With their Mo’s, these men raise vital awareness and funds for men’s health issues, specifically prostate and testicular cancer initiatives. “Once registered at www.movember.com, men start Movember 1st clean shaven. For the rest of the month, these selfless and generous men, known as Mo Bros, groom, trim and wax their way into the annals of fine moustachery. Supported by the women in their lives, Mo Sistas, Movember Mo Bros raise funds by seeking out sponsorship for their Mo-growing efforts. “Mo Bros effectively become walking, talking billboards for the 30 days of November. 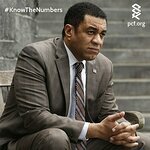 Through their actions and words they raise awareness by prompting private and public conversation around the often ignored issue of men’s health. The funds raised in the US support prostate cancer and testicular cancer initiatives. The funds raised are directed to programs run directly by Movember and its men’s health partners, the Prostate Cancer Foundation and LIVESTRONG Foundation. To donate to Stephen Moyer’s challenge, and to see a gallery of his facial hair efforts, visit his Mo Space.